$50.00 per Calendar Year. USMS is the national organizing body for all Masters swimmers in the United States. Registration with USMS is required for every calendar year in order for you to practice with DCAC and to be eligible to compete in meets. Included in your USMS membership is a calendar-year subscription to USMS's SWIMMER Magazine and The Swimmer's Ear newsletter published by our regional USMS Committee, Potomac Valley LMSC. USMS provides accident insurance to its members at team practices and at USMS-sanctioned events. Register online. 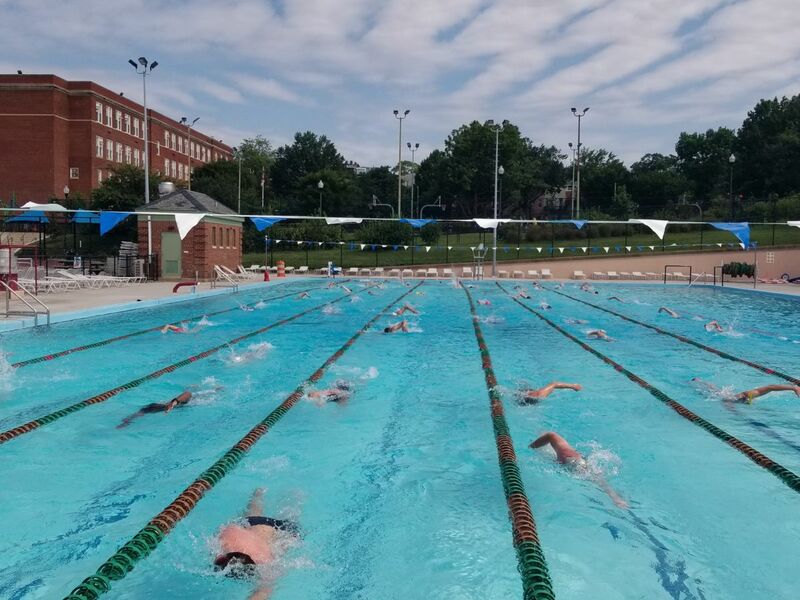 If you are new to DCAC and already USMS registered, please contact the Potomac Valley registrar to change your USMS team affiliation using this form. The registrar's contact information can be found here. $45.00 per Calendar Year. DCAC registration form here. Note: Do not use this link if you have registered for DCAC in the past. Instead, email treasurer@swimdcac.org to request a link to reactivate your existing account. Once you complete the membership process, you will be asked to choose a pool dues structure. If you have questions, reach out to treasurer@swimdcac.org. Annual Pool Dues ($550.00/Year): If you choose this option, your credit card will be charged a one time payment of $550.00. This option is only valid in the months of January and February 2016. Quarterly Pool Dues ($175.00/Quarter): If you choose this option, your credit card will be charged four times per year, $175.00 each time. The charges will take place in January, April, July and October. Monthly Pool Dues ($70.00/Month): If you choose this option, your credit card will be charged twelve times per year, $70.00 each time. These charges will happen once a month. Daily Swim Pool Dues ($15.00/Practice): If you wish to pay per swim, we prefer that you pay for swims as you go by logging into the Club Assistant System and purchasing individual swims using your credit card. Otherwise, you may pay via check at the pool to any DCAC Board Member on deck. Checks should be made payable to D.C. Aquatics Club. Please include the number of swims in the Memo line. Cash is no longer accepted for Pool Dues. Venmo payments are accepted on the pool deck - @swimdcac. Summer Memberships $175 and 10 Pak Swims for $100: If you are interested in either of these options, reach out to treasurer@swimdcac.org. Membership fees still apply. DCAC is committed to helping swimmers who face financial challenges. If you have a financial hardship and would be unable to participate at the regular dues rates above, please contact the Treasurer (treasurer@swimdcac.org) about reductions in dues based on financial hardship. Pool dues may be reduced on an individual basis at the discretion of the Board. See our scholarship tab on the website. Failure to register for USMS and DCAC and to pay Pool Dues prior to practice will result in you not being permitted to swim. If you wish to change your Pool Dues structure throughout the course of the year, you must contact the Treasurer in advance. Please contact the Treasurer (treasurer@swimdcac.org) or any Board Member for more information.